Gibson Vintage Reissue strings bring back the popular string-density of a by-gone age. 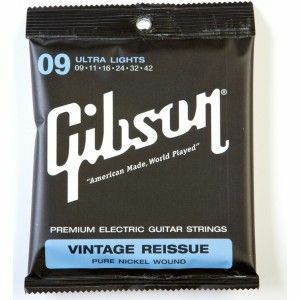 These strings take you back to the days when only the finest pure nickel wire was good enough for serious players. 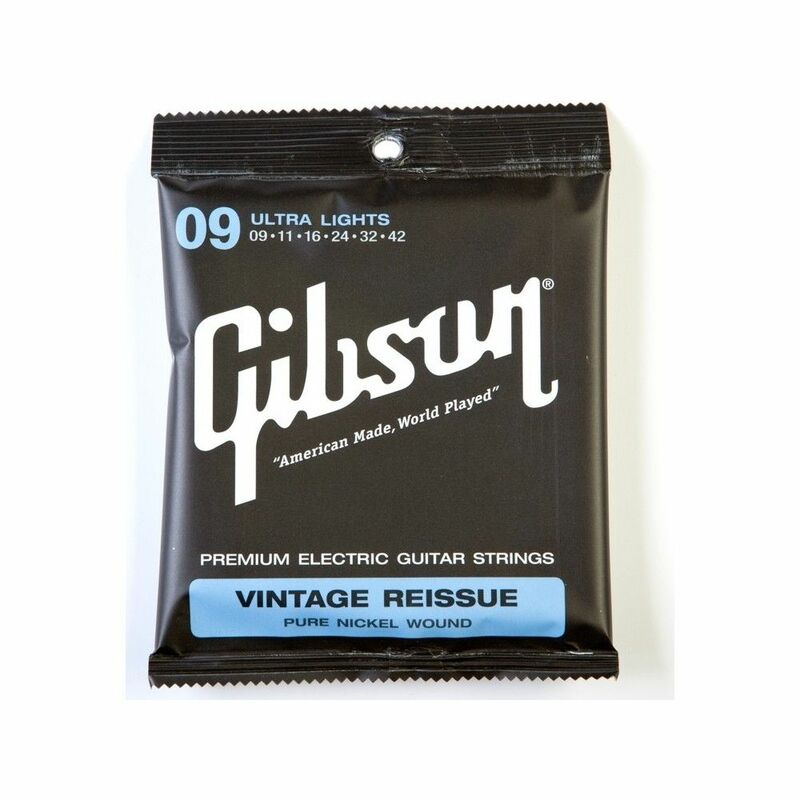 Slow-wrapped over the highest quality Swedish steel "hex" cores, Vintage Reissue strings provide you with maximum strength and stability.